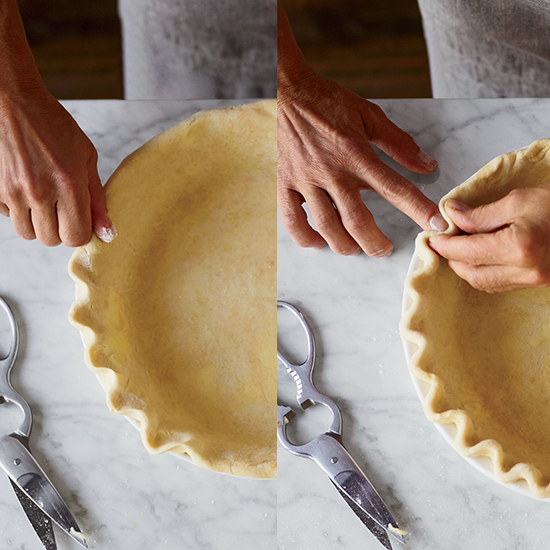 Foolproof, perfectly flaky pie crust is yours to master by following this step-by-step guide. To make sure all of the ingredients are sufficiently chilled, freeze or refrigerate them for about 15 minutes. 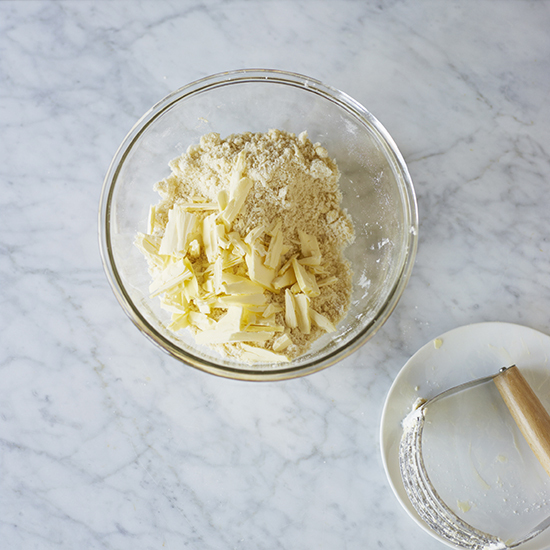 Cut the remaining butter into very thin slices and add them to the flour mixture; now work quickly to keep the butter slices cold. 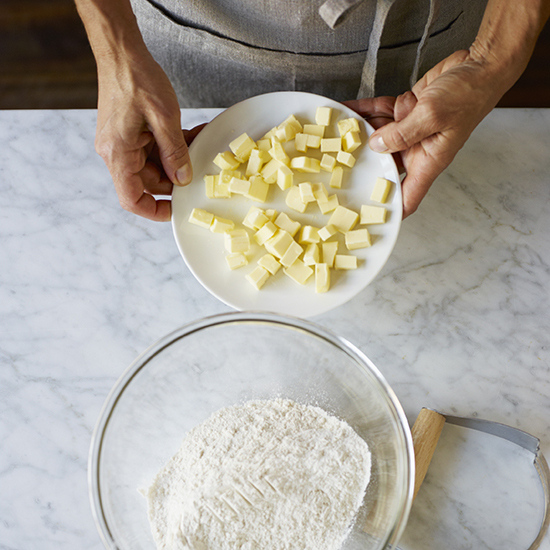 Separate the butter slices, cutting once or twice to coat with flour. The slices should remain as intact as possible to ensure a flaky crust. 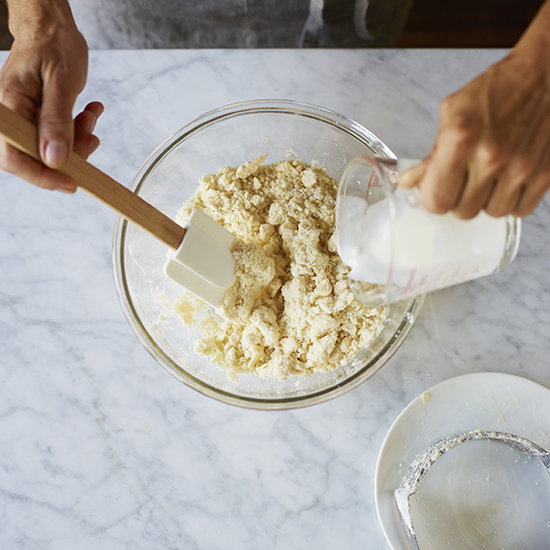 Drizzle the cold yogurt-water mixture into the bowl of flour, gently combining the mixture with a rubber spatula. 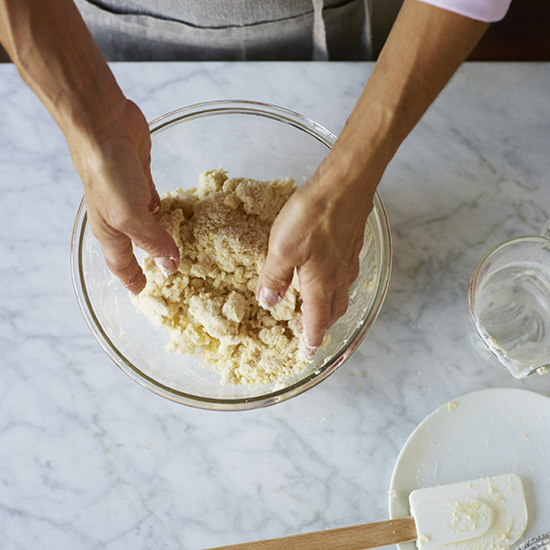 Continue tossing, scraping any dough off the spatula and the side of the bowl, until the dough feels crumbly and evenly moistened. 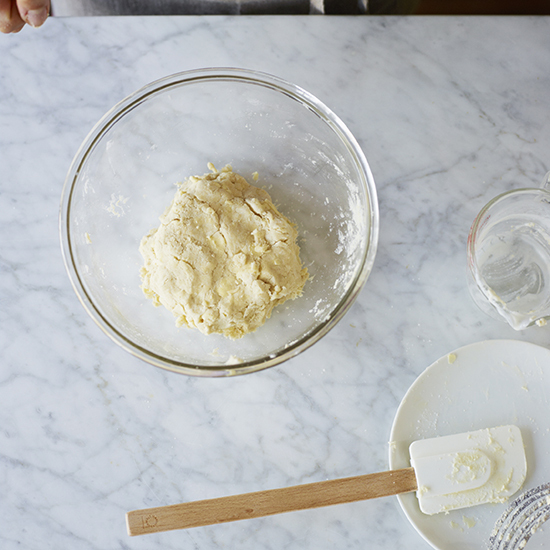 Press the dough into a 6-inch disk. 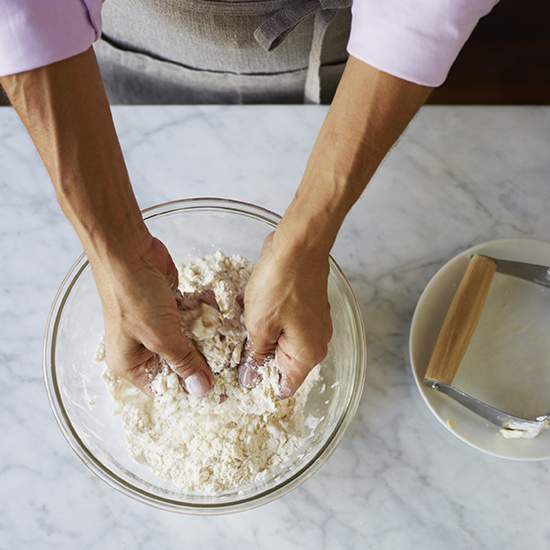 Wrap it in plastic and refrigerate for at least 2 hours or overnight, to allow the flour to fully hydrate. 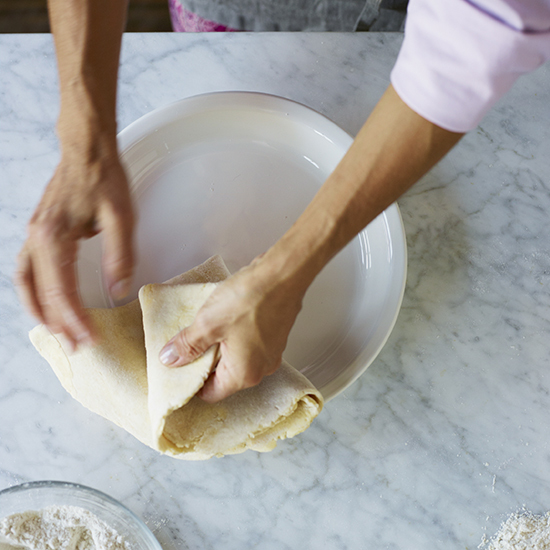 On a floured work surface, begin rolling out the dough; it sometimes helps to start by gently pounding the disk with the rolling pin. 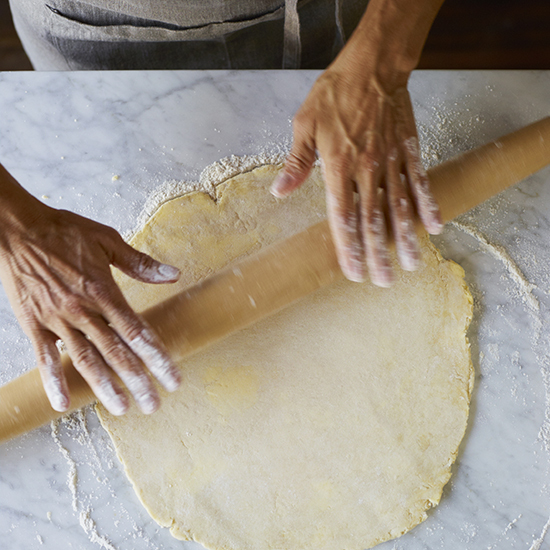 Continue to roll out the dough, dusting with flour on top and underneath as needed, to form a 13-inch round. Patch any cracks. 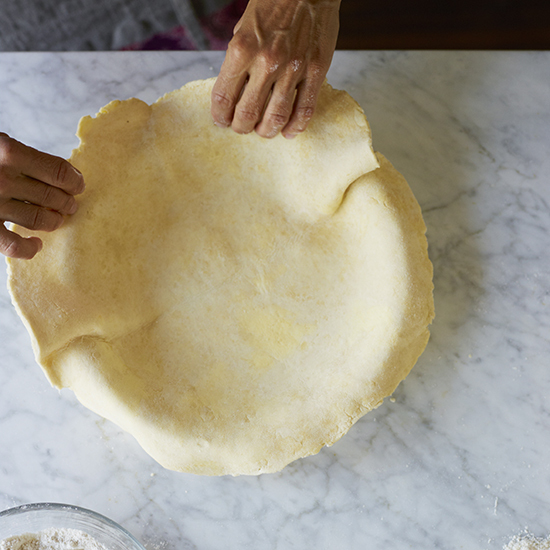 Fold the round of dough into quarters and carefully transfer it to a 9-inch glass or ceramic pie dish. 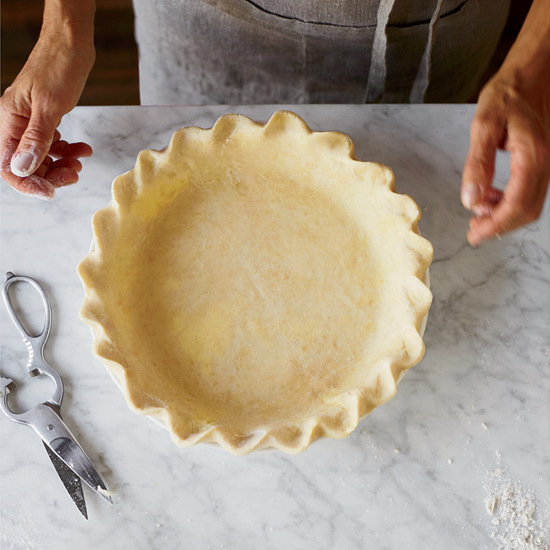 Carefully unfold the round of dough, then gently press it into the pie dish without stretching; patch any cracks that may form. 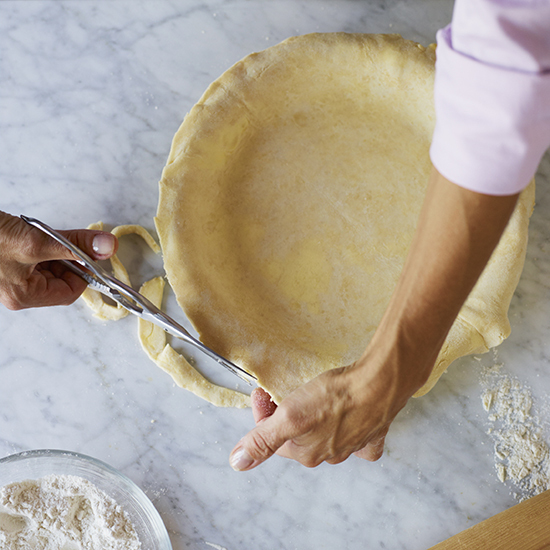 Using scissors, trim the overhanging dough to 1/2 inch. Tuck the edge under itself. 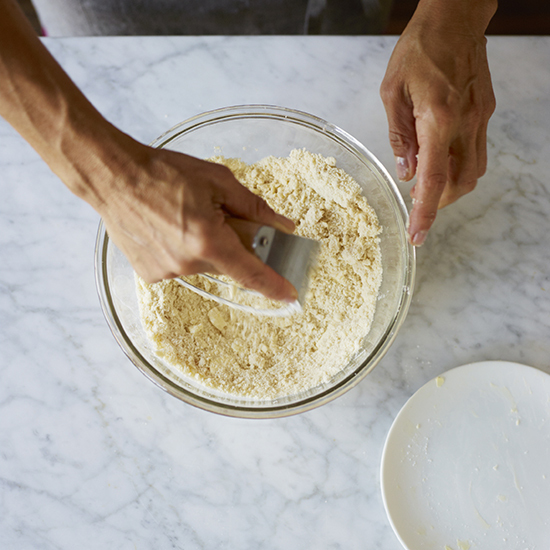 The Thumb Crimp: To create an angled, wave-like edge, work on the bias, pinching the pie dough between your thumb and bent forefinger at even intervals. 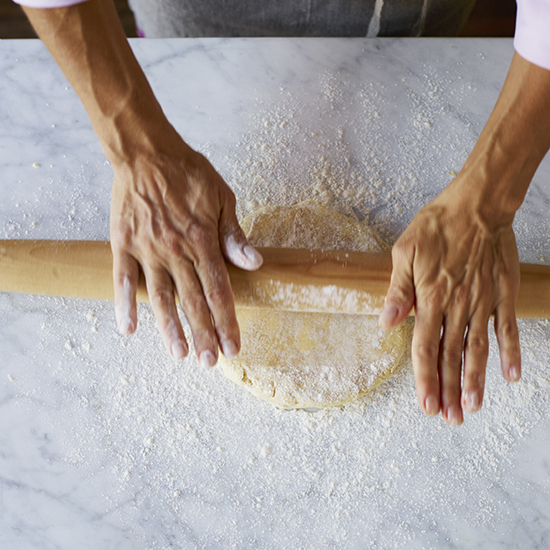 Traditional Fluting: To create an even, triangular crimp, form a V with your thumb and forefinger, pressing the edge of the dough into the V with your other forefinger.